There is a lot of buzz around “going green” and making homes or businesses energy-efficient. One aspect of the green initiative — especially for residential properties — is an effort to transition from traditional windows to energy-efficient windows. In particular, the best windows are touted as those with low emissivity, or low-e windows. 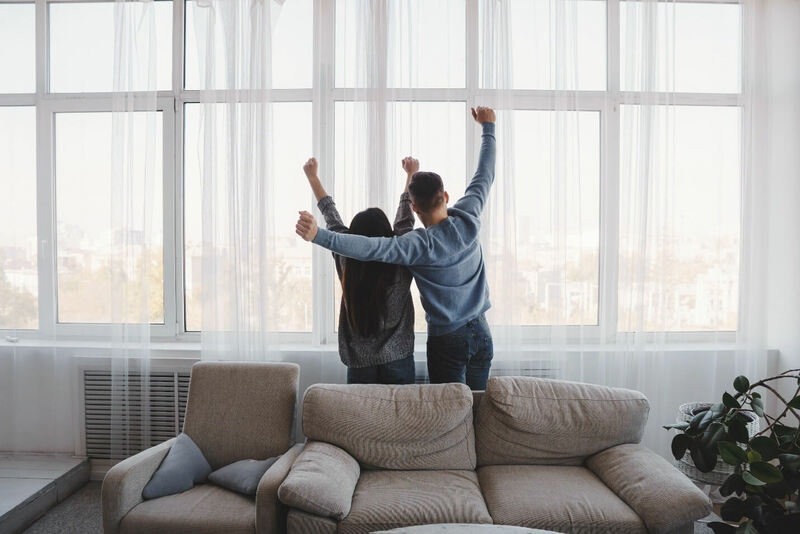 Without knowing what that means scientifically, however, homeowners may not understand why low-e windows are highly promoted and— more importantly—why they are worth the financial investment. When glass absorbs heat or light energy, the energy is either transferred elsewhere by moving air or re-released (radiated) by the glass surface at a rate proportionate to the material’s emissivity, according to the Efficient Windows Collaborative. 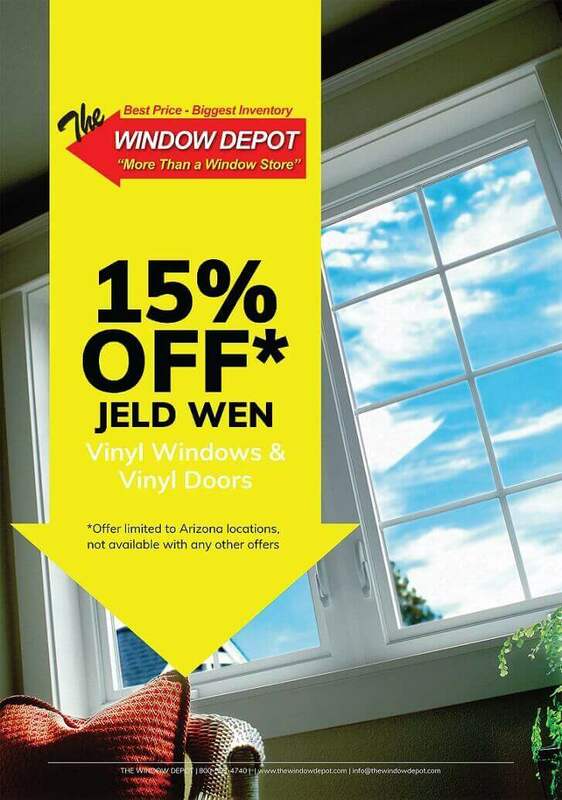 Basically, low-e windows substantially reduce the amount of heat and energy that gets through window glass. Reducing a window’s emittance can substantially improve its insulating properties. Standard clear glass has an emittance level of about 0.84, which means it will reflect about 16 percent of incident long-wave, infrared radiation. When emittance is reduced through low-e coatings, glass will emit significantly lower levels of radiant energy. All of that is a fancy way to say that low-e windows prevent certain types of light (including ultraviolet rays) and heat from passing through the glass and into your home. This is something you just won’t get from conventional glass windows. How do low-e windows benefit homeowners? According to the U.S. Department of Energy, heat gain and heat loss through windows are responsible for 25 to 30 percent of residential heating and cooling energy use. 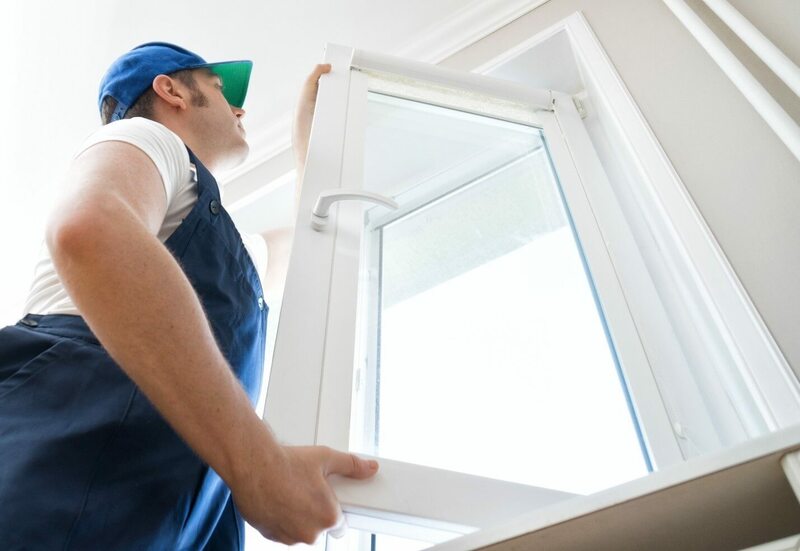 Low-e windows are often considered a worthwhile home improvement investment because they address that issue and help homeowners save money on their future utility bills. Low-e windows reflect heat and cool air back into a home’s interior, rather than allowing it to escape outside, thus allowing residents to better regulate the temperature inside their home or apartment. 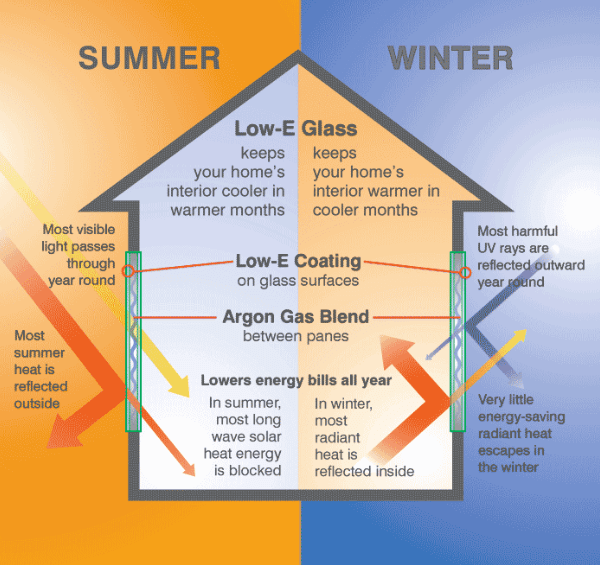 When heat can easily escape outside during wintertime, homeowners often have to run their system longer or at a higher temperature, which can rack up energy usage and, subsequently, it’s cost. Conversely, windows with low-e glass also reduce heat gain from outside during hot summer months and reduce the need to use air conditioning. Another benefit of low-e windows is derived from their ability to block UV rays, which are known to damage not only human skin but also material items. When UV radiation flows through windows, it can harm the belongings inside. It’s most commonly known to cause the fabric on furniture or carpets to fade. Homeowners protect their valuable belongings by hindering the passage of that radiation with low-e windows. Finally, low-e windows can mitigate or eliminate unwanted condensation on the glass, which is typically an issue during the heating season. When the warm air inside comes in contact with the cold glass, water droplets form on the glass surface of a window. While low-e windows are more expensive than windows with traditional glass and require a larger upfront monetary investment, the benefits compensate for that expense over time in numerous ways. When shopping for new or replacement windows, contact us to find a perfect window product with low emissivity that will improve both energy efficiency and the comfort level of your home.